I’m in the process of doing my annual push to add users to my email list. If you’ve already signed up, thank you. I really appreciate the support. If you’d like to receive three to four short notes per year with updates on my work, please consider clicking the link below and signing up for the list. As a special thank you for joining, I’ll send you an ebook of my second novel, The Big Wide Calm. Just follow the instructions in the welcome note to get your copy. For all of my Digital, HP, Compaq, Unisys and Fujitsu friends, feel free to forward this note to folks in your network. For all of my Morris Knolls and Notre Dame friends, feel free to forward this note to folks in your network, too. Thank you for all of your support these last years. 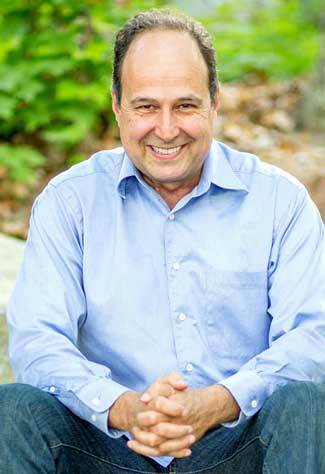 Rich Marcello, Author of four books, the long body that connects us all, the beauty of the fall, the big wide calm, and the color of home. In an interview with the Press, Marcello said he had dreamed of being a writer as a kid and did, in fact, write some songs and poems—which he has continued to do. At Notre Dame, Marcello had a humanities professor, a published author himself, who told him, “You write well. I think you’re going to be an author,” and he offered to help. But at that point Marcello had no money and knew he couldn’t make a living writing. So he went into high tech, hoping to earn enough to someday support his real passion. His retirement coincided with the building of a house on Cove Road, with a row of windows facing the pond. What he at first had referred to as “the space I go to write” turned out to be “a separate writing studio with a view to the water.” Every morning, after rising at 5 a.m., having breakfast, and talking with his wife, Maribeth, Marcello walks the 10 yards to work. He writes for four to six hours every day, creating “works of joy.” He is committed to writing literary fiction—books that deal with the big ideas that face us. Marcello said he had greatly underestimated how long it would take to learn to be a good writer. It was an upward climb through the first two books but after his third novel and the upcoming publication of his fourth, “I’m at a place where I feel comfortable with my writing,” he said. Describing his process, Marcello said he makes his way through an entire draft before doing any editing. It took him about a year to write his third novel, and he spent another year constantly revising it. “Ideas come to me easily,” he said, adding, “Right now I have about 10 ideas for potential books.” To get started, he has in mind a character in a particular situation, or an event in a particular place. From there he moves forward, “taking things from life and tweaking them.” He realized, by trial early on, that it would not work to write directly about something he had actually experienced. “I didn’t want it to be about me. It had to be general.” He reiterated that the way to become a better writer is to write every day and learn from your own experiments with the craft. To see examples of Marcello’s process, we talked about his third novel, “The Beauty of the Fall,” published in 2016. The impetus for the book was Marcello’s curiosity: What would happen to a man if he lost everything he loved? How would it be for him? A starting point for the novel came when Marcello had an image of a man being fired from a tech company that he had helped to create. Another early image was a man delivering a eulogy in a church. Dan, the main character in this novel, experiences both of these. Marcello said sometimes a writer has to go to an expert. In his case, one of the major characters, Willow, was based on a woman who worked at a women’s shelter in Nashua, New Hampshire where Marcello serves on the board and to which he donated a portion of his profits from the book. She gave him factual information as well as feedback on how authentic she thought the Willow character sounded. At the end of the book, Dan has lost many things, some things twice—a career and a wife—and yet he is still resilient. While the ending is intentionally “gray,” Marcello said there are moments when the reader knows that Dan has grown emotionally through how he has handled the losses he has suffered and how he can finally let go of them. 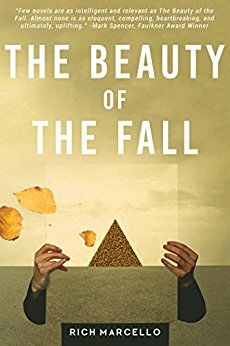 I didn’t ask about the title, but from our conversation, I think “The Beauty of the Fall” captures the idea that it is possible for a person to become a better human being when things in his or her world fall apart. There are more female than male characters in the novel, and the love scenes show gentleness and vulnerability on the part of the man. I asked—kind of teasingly—how he got to be so sensitive. Marcello told me that when he was 13, he was sitting next to his dad watching a game on TV when his dad died of a massive heart attack. Lots of therapy, an extended Italian family, and being raised by women helped him to grow emotionally and to remain open and receptive. Marcello said he is committed to writing women as well as men. He has had a woman editor and early on she would often comment, “A woman wouldn’t say that.” But there’s less of that now, he said. For “The Beauty of the Fall” he had five readers—three women and two men. This three-hour, introductory class will be divided into two sections. In the first half, we’ll explore different aspects of the craft of fiction, as detailed below. In the second half, we’ll focus on scenes written by the students and provide positive, constructive feedback on how each author might develop his or her work. Prerequisites: This class is designed for active, beginning writers who want to hone their craft. Each student must submit a sample of his or her writing, preferably a scene, no more than 10, double-spaced pages by September 1, 2017, and be prepared to write, share work and provide feedback for fellow participants. Ten-week course fee: $150.00. Register at sevenbridge.org or contact us with questions at 7bridgewriterscollaborative@gmailcom. Deadline to register: September 1, 2017. Rich Marcello Rich Marcello is a poet, songwriter, musician, and writer. He is author of three novels, The Color of Home, The Big Wide Calm, and the recently released The Beauty of the Fall, all published by Langdon Street Press. Previously, he enjoyed a career as a technology executive, managing several multi-billion dollar businesses for Fortune 500 companies. Faulkner Award winner Mark Spencer praised Rich’s latest novel, noting that “Few novels are as intelligent and relevant as The Beauty of the Fall. Almost none is as eloquent, compelling, heartbreaking, and ultimately, uplifting.” Marcello has partnered with the Writers’ Collaborative since 2015. Trigger Warning: This novel deals with abusive and controlling relationships, a grieving parent, and self-harm. If you or a loved one have suffered through an abusive/controlling relationship, the loss of a child, and/or self-harm, proceed with caution. Grab some tissues for this one. Today I’m reviewing The Beauty of the Fall by Rich Marcello. Spiritual, inspirational, and modern, I haven’t been so emotionally affected by a book since Flowers for Algernon. In fact, Marcello’s book has affected me more, making me sad and hating certain people but also inspiring me and making me hopeful for the future. The Beauty of the Fall follows Dan Underlight, an engineer and co-founder of RadioRadio, as he copes with being fired and the lingering guilt and sorrow from the loss of his son. As he comes to grips with losing his job, Dan undergoes multiple life-altering events: he finds new love in poet and advocate for women’s rights Willow, embarks on a pilgrimage to Fortune 500 companies across the U.S., and initiates a startup directed at changing the world, ConversationWorks. Yet every time Dan’s life appears to get better, something goes wrong. Sometimes his troubles stem from forces outside of his control, and other times they result from his own self-destructive behavior. In both cases, the universe seems bent on thwarting Dan’s efforts—or, perhaps, it’s trying to teach him a lesson about life. With the help of friends, colleagues, his therapist Nessa, and the guiding spirit of his dead son, will Dan finally get and keep his life on track? Will he ever discover what it takes to make him feel genuinely happy and fulfilled?